War Correspondent rounds out the 2017 Hall of Fame class. 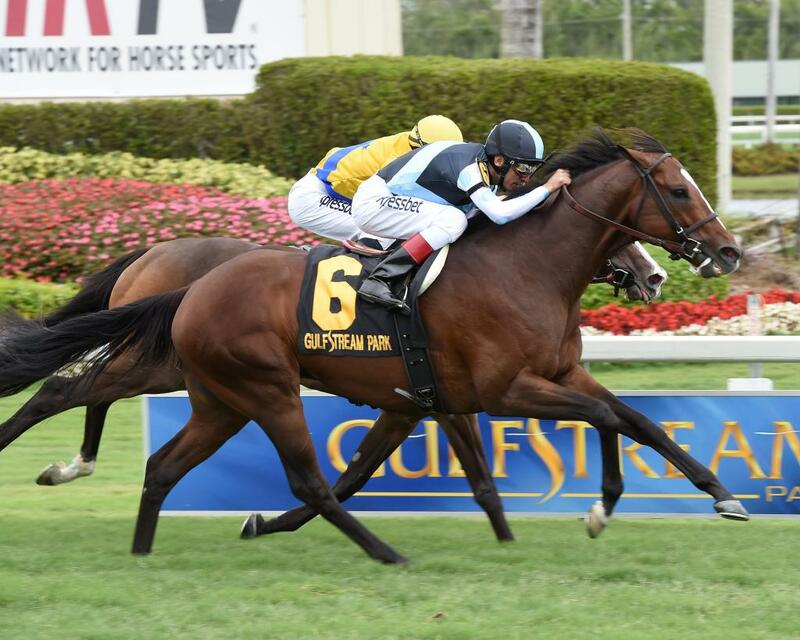 Plucked privately at the end of his 3 year-old season, Eclipse campaigned War Correspondent for 3 seasons, winning a pair of Grade 3’s, including the Miami Mile this past year, in addition to a pair of Grade 1 placings in the Gulfstream Park Turf Handicap and a narrow 2nd in the Grade 2 Autumn Stakes. A magnificently-bred colt, War Correspondent provided his partners with some massive paydays when Sagamore Farm acquired a minority interest in him as a 4 year-old and then his stallion rights were acquired at age 5 by the historic Calumet Farm. War Correspondent was a regal colt for Eclipse and with his stellar looks, prime-time ability and royal pedigree, he has every right to make his presence felt on the breed as he assumes his duties as a sire in 2018.